There are five important days in the year that kids look forward to: the last day of school, their birthday, a holiday they get a gift, Halloween, and the day the big toy catalog comes in the mail. I have no idea how they knew we had kids, but the day after we brought our bundle of joy home, it arrived. That great big wish list book of toys, gadgets, and stuff that will make a kid happy for that moment. While the ads and commercials are informative, nothing beats first-hand knowledge and the following blogs have done their research. What I enjoy most about SAHM Reviews is that besides covering everything from tech to food, they also have an extensive toy and game review section of new games like Colt Express, which uses a train to get players around the board. SAHM also has a fun Thrift Treasure series which shares games they’ve found at thrift stores like Uno Stacko, it’s Jenga with an Uno twist. Dad Does reviews products with dads in mind. Founded by dad Dan Nessel, Dad Does covers a wide range of reviews as well as toys for kids and has been recapping the Toy Fair since 2011. My little one wants a chocolate pen and my oldest wants a drone, and I now know if I want to put them under the tree this year. Keri is the Toy Queen as well as a pediatric occupational therapist with a talent for finding toys for children. She shares reviews for “toys, games, attractions, events, movies, DVDs and baby products for their developmental qualities.” Basically, she can tell you what to buy at which stages for all children. 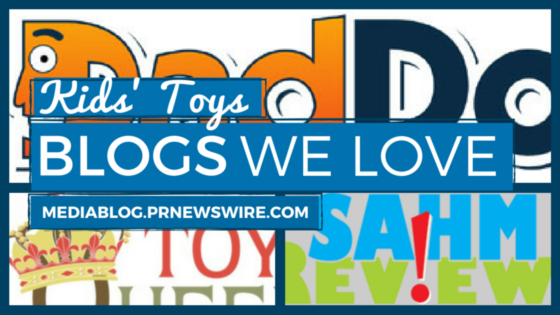 Check out Keri’s list of the best toys for 2015, which was featured on NECN and About.com. P.S. Ever wonder how we come up with ideas for our blog profiles? Our handy list of industries and subjects on PR Newswire for Journalists stays top of mind. If you’re a blogger or journalist looking for news, let us know. We can customize a news feed for you on PR Newswire for Journalists. The company is managed by KB ONLINE SERVICES PRIVATE LIMITED and is based on Delhi. It was founded by Sarthak Bhasin & Simmi Bhasin in August 2015. In December 2015, KB Online launched http://www.happiesta.com & it makes easier for millions of customers, from individual to business, to buy & sell goods online by providing technology & services that selection, payments, customer support & fulfillment, all as an integrated experience. Happiesta provide Toys & Games online store where thousands of products, including dolls, action figures, games and puzzles, hobbies, models trains and much more are available. Thank you for sharing such information. I would look forward to more good content from you.